When you don’t sleep well, your whole life gets thrown out of whack. While this is frustrating for everybody, it can be particularly problematic for a single parent. 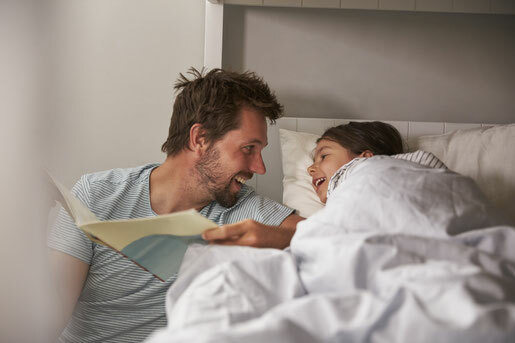 Daniel from dadsolo.com provided this guest blog, with the secrets that help his own single-parent home get better sleep! Single parents must take on double-- even triple-- duty. They must be the consoler and the disciplinarian; the guiding force and the one to give that first gentle push out of the nest. On top of all that, they must take care of the home, their careers, and their own personal lives (if there’s even time for that!). Not getting enough sleep makes taking all this on that much more difficult. ● Mood swings or simply bad moods. ● Inability to retain information. ● Increased risk of accidents. ● Increased risk of diseases and health problems such as obesity, diabetes, and cardiovascular disease. If you want to encourage healthy sleeping habits in your single-parent family, start at home. To help combat sleep deprivation, the best thing you can do is adjust your environment to make it more conducive to rest. That means eliminating stressors and crafting a space where your body can unwind and you can effortlessly transition to dreamland. The following are tips on how to de-stress your home space. Stick to a schedule. Having a strict sleep schedule in the home let’s everybody know when it is time to unplug and unwind for the day. Take the hour before bedtime to go through bedtime rituals and create sleep-friendly vibes throughout the home. Get rid of clutter. Having a bunch of junk around the house can actually reduce your ability to focus. Clean out the clutter and get rid of things that you don’t need. Consider the Marie Kondo “KonMari” method-- anything that doesn’t “spark joy” has got to go! Tap into Mother Nature. Studies have shown that being around nature improves a person’s mood and reduces stress. Having a few plants around the house simulates nature while also purifying your air, making breathing and sleeping easier. Consider aromatherapy. An oil diffuser or aromatherapy candles can help create a soothing atmosphere that encourages a person to unwind and de-stress. Aromatherapy scents like chamomile, lavender, valerian, sandalwood, and more are all shown to help us relax and fall asleep. Close up the screens. Television, cell phones, tablets… whatever your screen of choice is, put it away come nighttime. Electronic devices suppress melatonin and stimulate your brain, making it more difficult to fall asleep. Stop all electronic usage an hour before bedtime to provide your mind with enough time to unwind. If you suffer from sleep deprivation as a single parent, it can inhibit your abilities to do your job well. Even worse, sleep issues in the home can impair your children’s abilities to have a restful night. 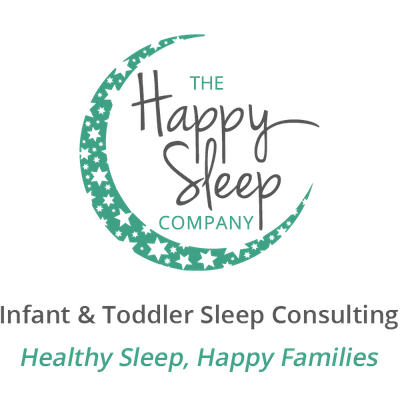 Sleep deprivation causes many problems - both physically and mentally - and can be detrimental to your children’s health. To combat issues with sleep, start at home. Create an environment conducive to a good night’s sleep by creating a schedule and sticking to it. Cosmetic changes like de-cluttering, adding plants, and using aromatherapy to de-stress, can also help. Finally, make the hour before bedtime a no-screen zone. Curating a calm environment can encourage healthy sleep habits so your single parent home can function at its best. Daniel has been a single dad to his daughter (9) and son (6) for three years now. He admits he doesn't always know what the heck he's doing, but every day is definitely an adventure and a blessing. And for that, he is truly grateful. When he noticed there weren't a lot of resources out there for single dads, he decided to create www.dadsolo.com to share some of what’s worked for him.